The Nutribullet Superfood Nutrition Extractor is perfect for making sure you get your five a day. 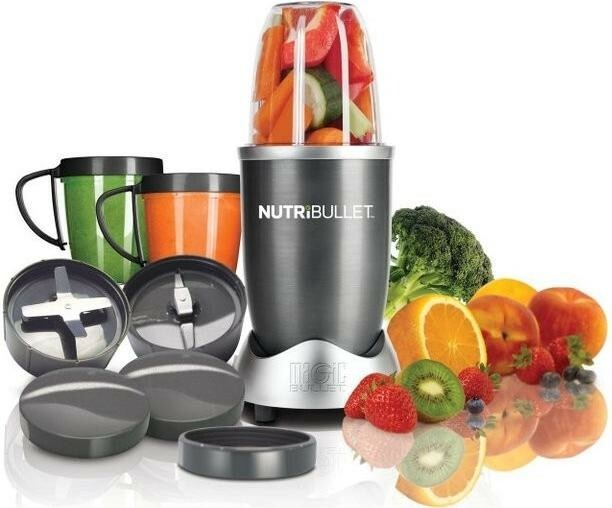 The Nutribullet Superfood Nutrition Extractor easily blends through your food no matter how big or small with its turbo extractor blades, cyclone technology and superb 600 watt motor, allowing you to make your favourite smoothies with ease and leaving no lumps. The Nutribullet Superfood Nutrition Extractor comes with a large and small mug which easily attaches to the extractor so there is no excuse to skip breakfast anymore on them busy morning and long commutes.